Full Circle Adjustable Micro Sprayers are used for residential gardens, flowerbeds, groundcovers, shrubs, trees and even small grassy areas. 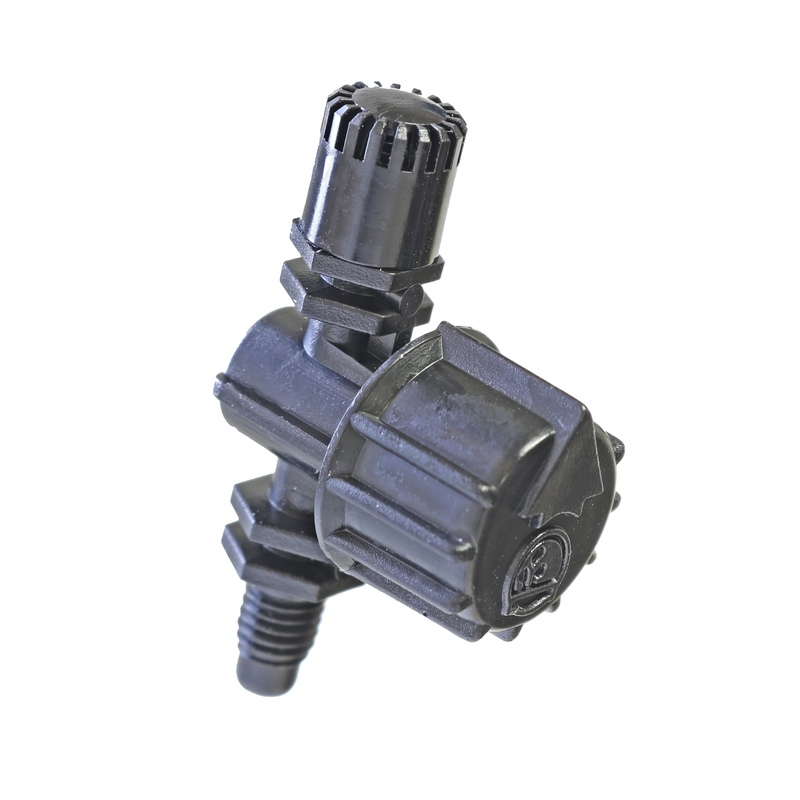 The adjustable micro sprayers are ideal for areas where low-flow overhead irrigation is desired or for areas where drip emitters or conventional sprinkler systems are not practical. They have an adjustable flow feature of 0 to 26.1 GPH at 25 PSI. These micro sprayers have an adjustable knob that allows control of flow to reduce or increase the spray diameter. The 10-32 thread let’s you screw it into most any micro sprinkler riser.